Cheers! 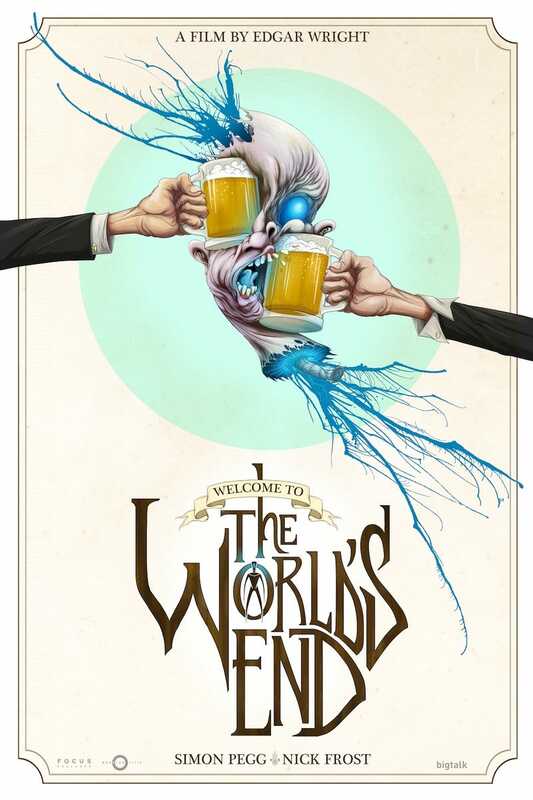 We've got the exclusive premiere of artist Alex Pardee's take on Edgar Wright's apocalyptic pub crawl movie, The World's End. Behold Pardee's grotesquely beautiful creation. And like most of his work, it is both spooky and a little bit silly. The World's End will be in theaters on August 23rd, 2013. Check out the trailer here.